The Coach brand stands for authenticity, innovation, and relevance. Started in 1941 as a family-run workshop in New York City, we were pioneers in the leather goods and accessories space, established as the original American house of leather during the second half of the 20th Century. They went on to define “accessible luxury” for a generation. 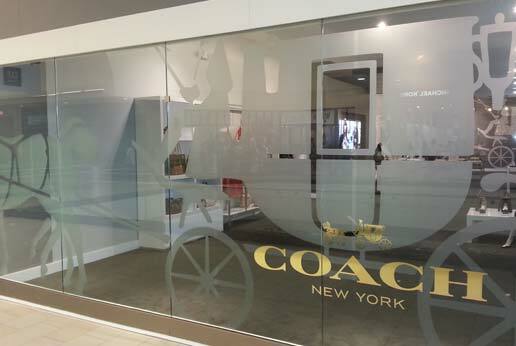 Beginning in North America, Coach delivered an alternative to traditional luxury. Then, expanded beyond the home market, becoming the first American company in our category to bring international relevance to an American leather goods brand. 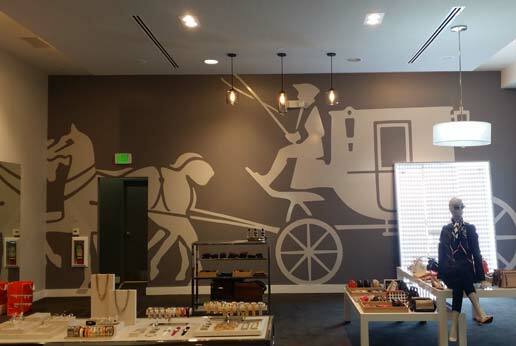 AGRetail were asked by Coach to produce and install storefront window graphics and retail wall graphics for one of their stores in Glendale, California. 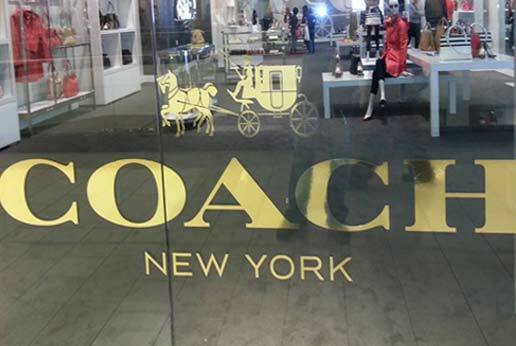 A reproduction of the coach logo was produced in dusted crystal with a gold logo with the storefront windows and the same design was also used for a wall graphic inside the store. 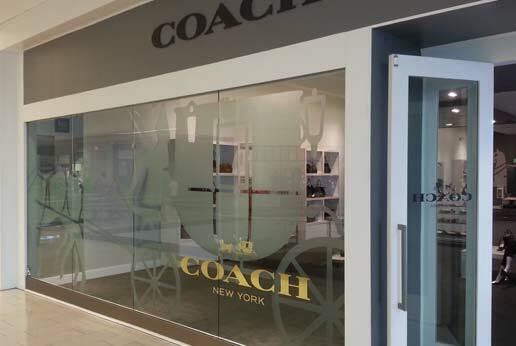 For further information on Coach New York, click here.